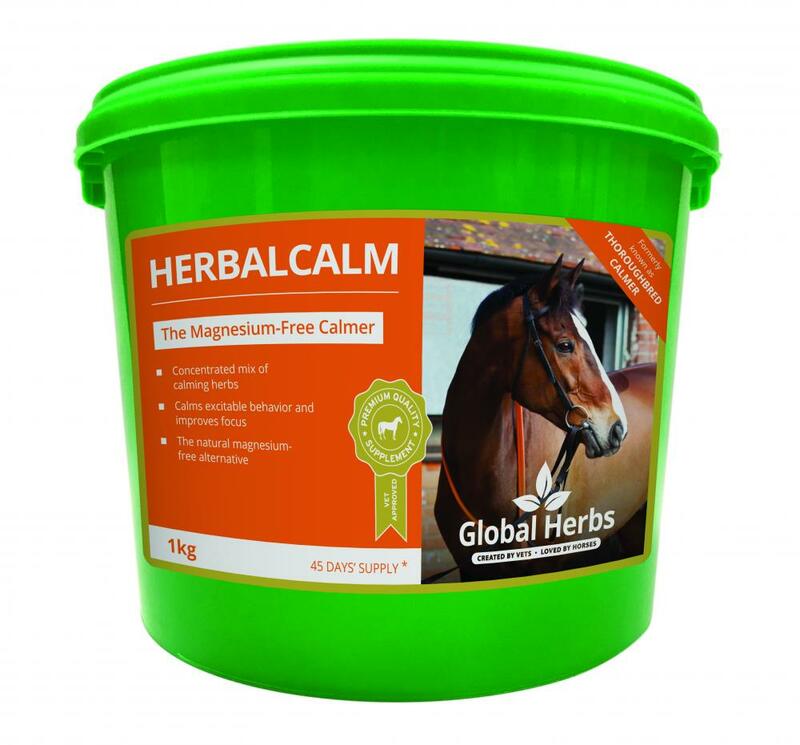 Global Herbs HerbalCalm formally Thoroughbred Calmer is a special blend that many owners have found to make all the difference to their horses whether used for a relaxed hack in the country or more competitive situations. Global Herbs have found that that thoroughbreds respond better in the long term to this more simple mix of herbs without the magnesium that is in their SuperCalm supplement. Feed two 25ml scoops twice daily for a normal horse. There are currently no questions for Global Herbs HerbalCalm for Horses - be the first to ask one!